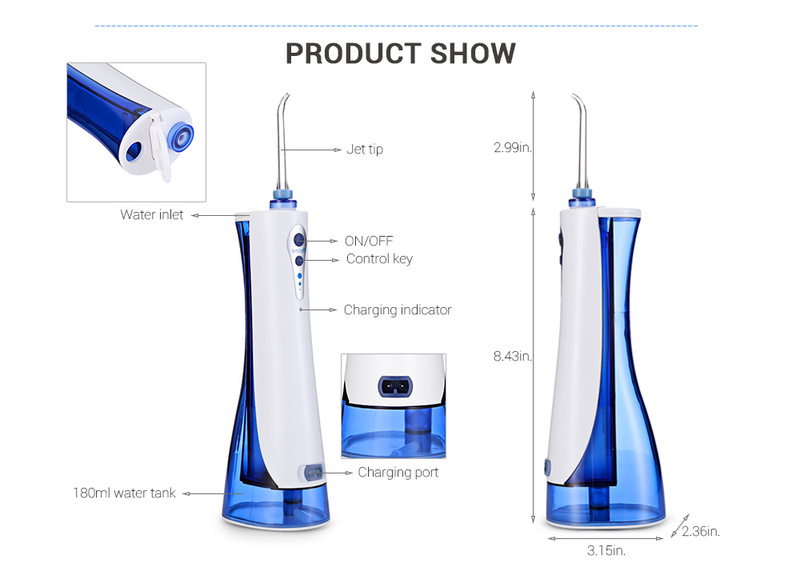 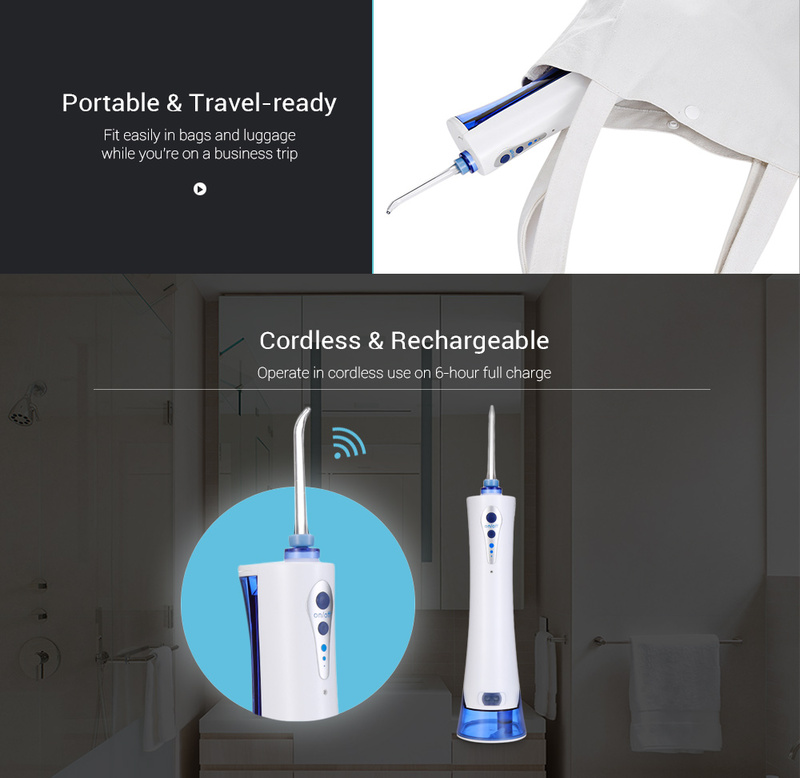 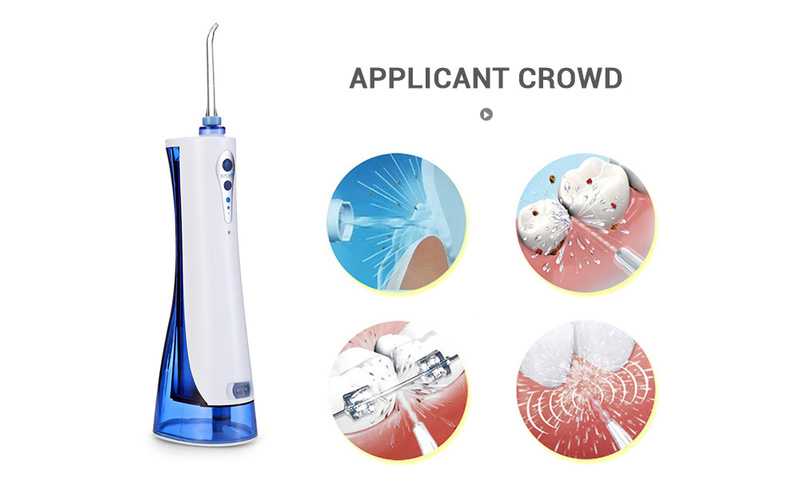 With the combination of water pressure and pulsation, the Oral Irrigator massages and stimulates gums for enhanced circulation, providing excellent water flossing performance to improve gum health and achieving good oral hygiene. 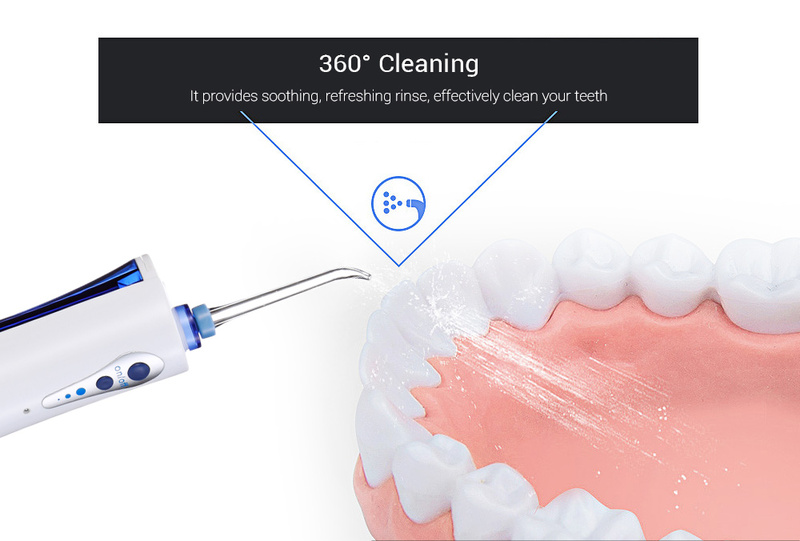 Great way to floss your teeth for removing most percentage of plaque from treated areas. 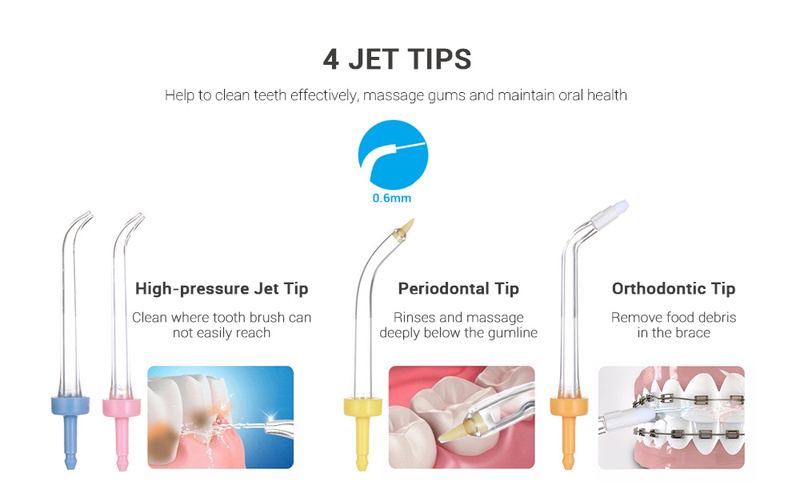 Also, safe, gentle and perfect for implants, braces, crowns, bridges of periodontal pockets, and get healthier gum after use. 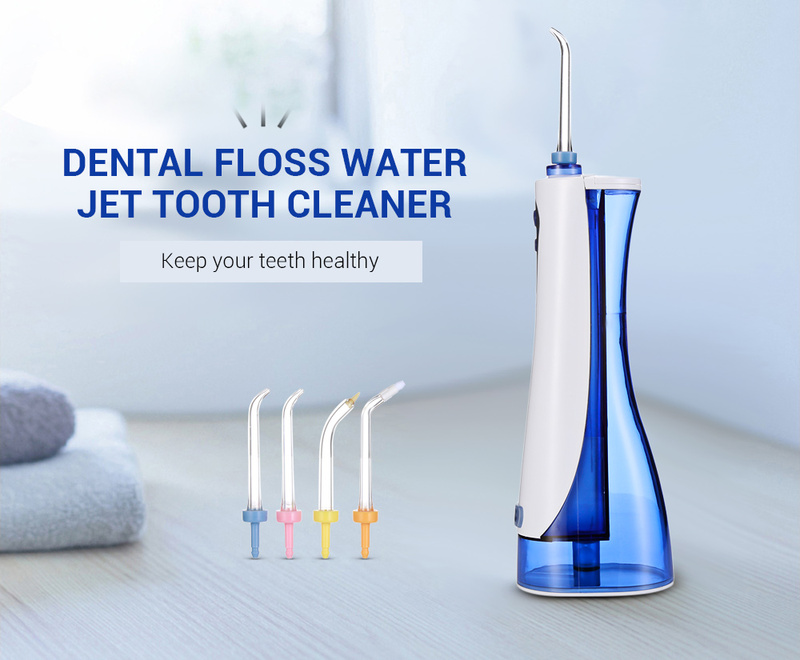 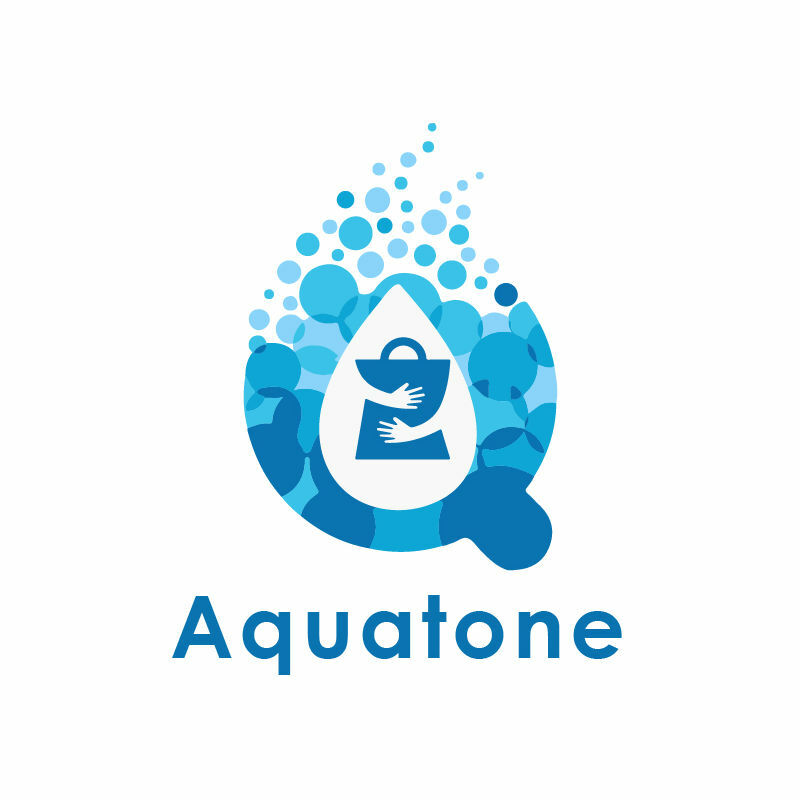 Destroy bacteria in the mouth, eliminate bad breath, clean teeth effectively and massage gums, get rid of unsightly and embarrassing food debris stuck in your teeth. Tips in different sizes help to reach the back teeth, easy to wash all areas of the mouth. 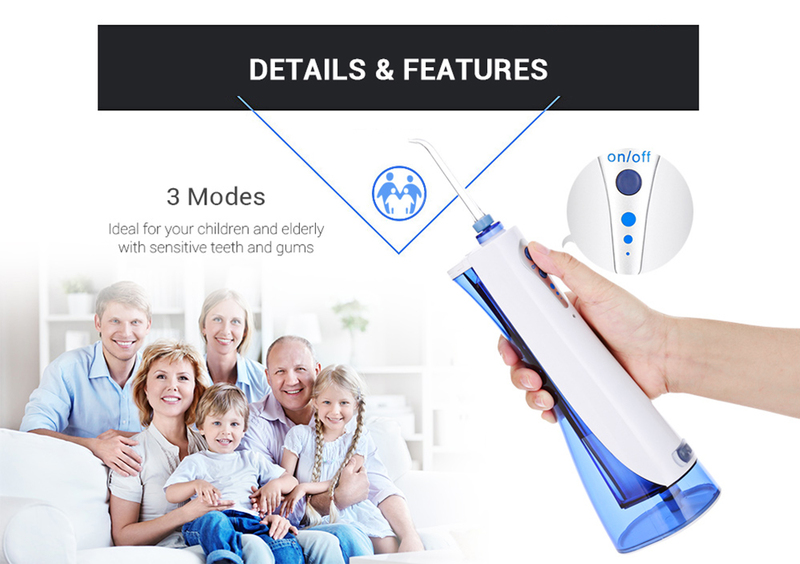 Find a comfortable setting (60 - 110psi) for your teeth and gums, easy to switch for children and elderly. 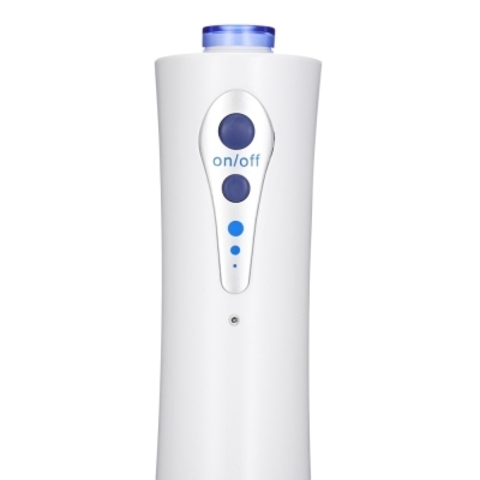 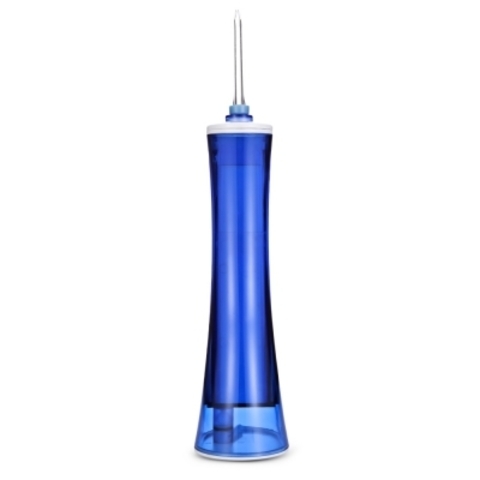 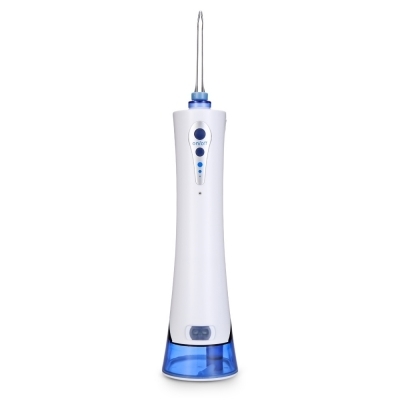 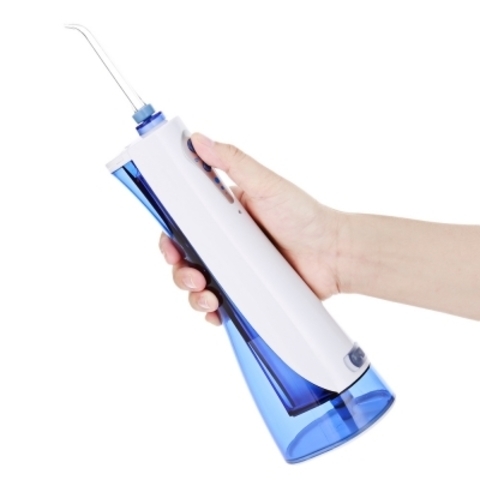 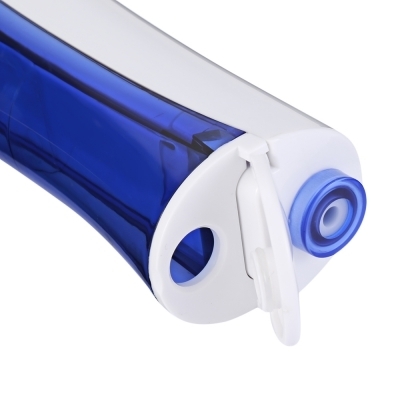 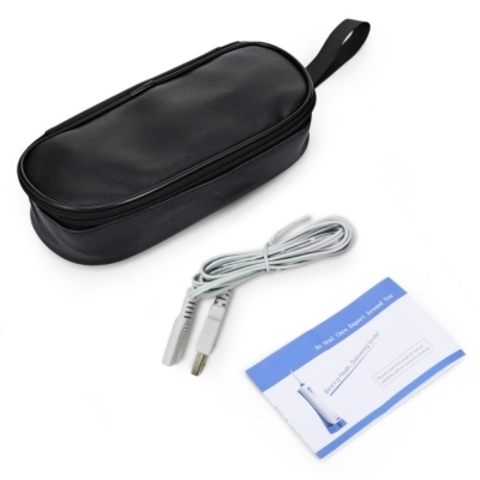 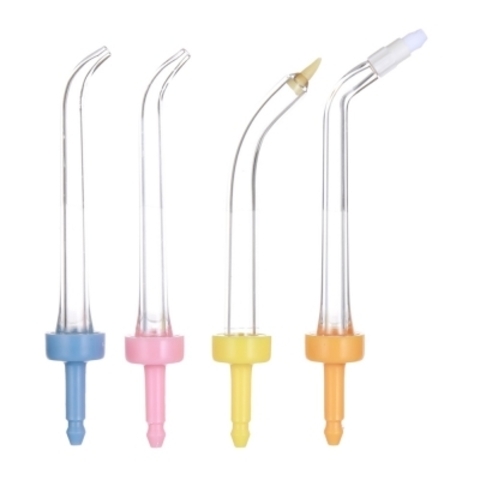 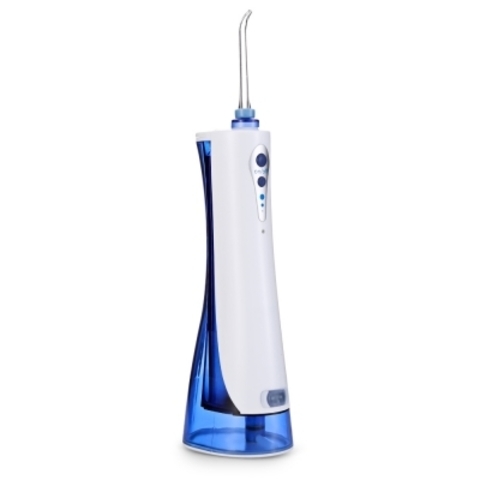 The water flosser provides 0.6mm ultra-fine water column. 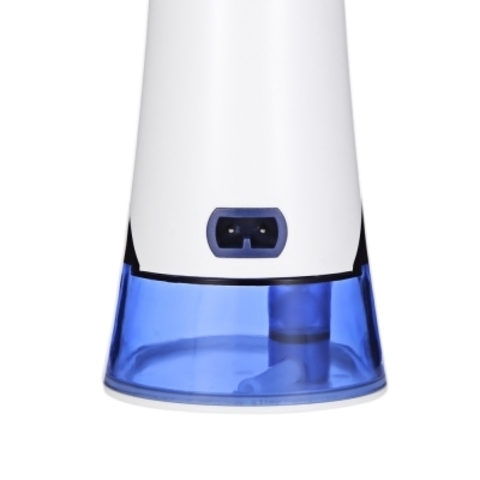 Offer fast charging in 6 hours and long-time release lasts 80 - 90 minutes. 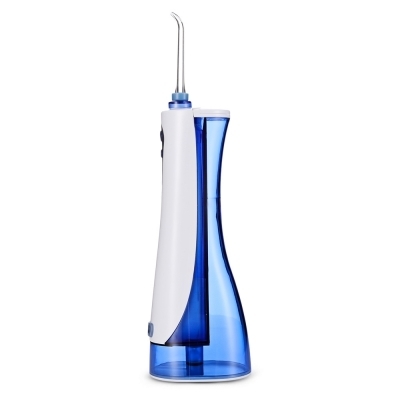 Choose the required jet tip, insert it into the lock at the top of water flosser. 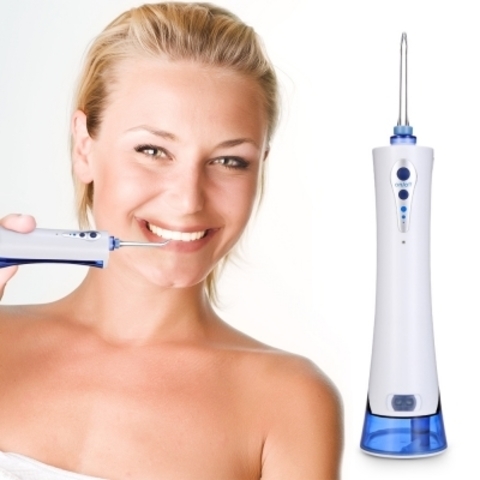 Point the tip at your gum line and start to floss.